Home > Headlines > News > 2019 Mercedes-Benz A-Class: A bright future. 2019 Mercedes-Benz A-Class: A bright future. The Mercedes-Benz A-Class is already one of the most anticipated cars of 2018 and it won’t arrive until the fall. Replacing the B-Class, the A-Class will be the new hatchback from the German manufacturer. It’s a new entry-level car with an anticipated starting price of around $35,000. With the A-Class, buyers will get all the luxury and refinement of a Mercedes-Benz at a price that is within the reach of most budgets. Entertainment and performance with the 2019 A-Class. The 2019 Mercedes-Benz A-Class may be the entry-level car at Mercedes-Benz, but it offers exclusive technologies as well as a powerful and efficient engine that ensures a level of performance that lives up to expectations. With the A-Class, you may have the most affordable Mercedes-Benz car in your driveway, but there's nothing entry-level about this little German hatchback. Its 2.0-litre turbo four-cylinder engine develops 221 horsepower and 258 lb-ft of torque. This means reassuring performance and impressive fuel economy in any situation. With 13 more horsepower than the CLA’s turbo engine, the A-Class accelerates and passes with conviction. Another interesting aspect about the new 2019 Mercedes-Benz A-Class is the MBUX infotainment system, or Mercedes-Benz User Experience. This device is brand new at Mercedes-Benz and is, for the moment, exclusive to the A-Class. It offers various functions, including a highly advanced voice control system that allows you to have natural conversations with your car to adjust different controls and functions. By using the "Hey Mercedes" command, you are connected to the car and can state things like "It’s hot inside the cabin." In doing so, the car will increase the air conditioning. There are also artificial intelligence components in the MBUX system, which means it can adapt to the driver’s preferences. 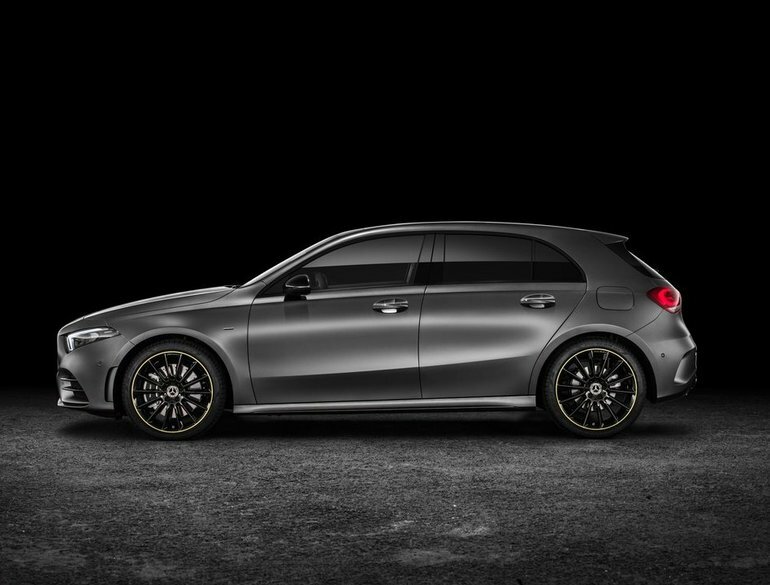 Learn more about the new 2019 Mercedes-Benz A-Class today at Franke Mercedes-Benz.